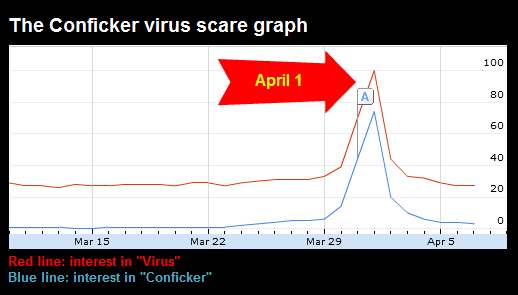 The Conficker virus was supposed to start working its sinister magic on April 1. Were people really worried? Sure looks like it. Are you a Web addict yet?